Oh yes it's about time Sony releases a pair of over-ear wireless headphones. These are not any normal wireless headphones though, the Sony Wireless Stereo Headset is built for gamers and features a 7.1 virtual surround sound promising that you will hear every little detail in the game. Other add-ons such as on board volume control, retractable boom mic with a mute button and on-screen battery headset and sound control status updates will let you game all day long with no interruption. Button controls will be accessible by simply tapping or sliding your finger on the headset's surface. Sony has confirmed that these do not use Bluetooth connectivity, but instead they use a small USB Wireless Adapter. 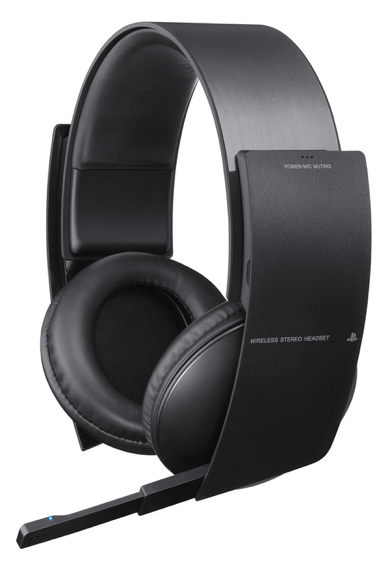 The Sony Wireless Stereo Headset is slated to be released in September for $99.99.